The mobilization in town promises total support for the Lionesses. Although still carrying the scars of broken unwanted makeshift structures near the major road, the city of Buea has completed its festival-grooming for tomorrow’s kick off of the female AFCON. The image of the city that will host CAF officials, referees and two teams from Nigeria and Mali has been greatly boosted in terms of sanitation, infrastructure, civic education, business spruce, and tourism spree. As a capital city of the South West Region, Governor Bernard Okalia Bilai convened an urgent meeting with Regional Delegates of the various Ministries last week to instruct about the general cleanliness around all offices. This added to the municipal endeavours of keep-Buea- clean that spread hygiene and sanitation across the four corners of the city. This is to give Buea, historic city, the admiration it deserves for the thousands of visitors trouping in for AFCON. Civic education was equally engrained in preparations for AFCON when Buea youth were called upon to desist from wayward attitudes like poor dressing, prostitution and other ills being observed this time. 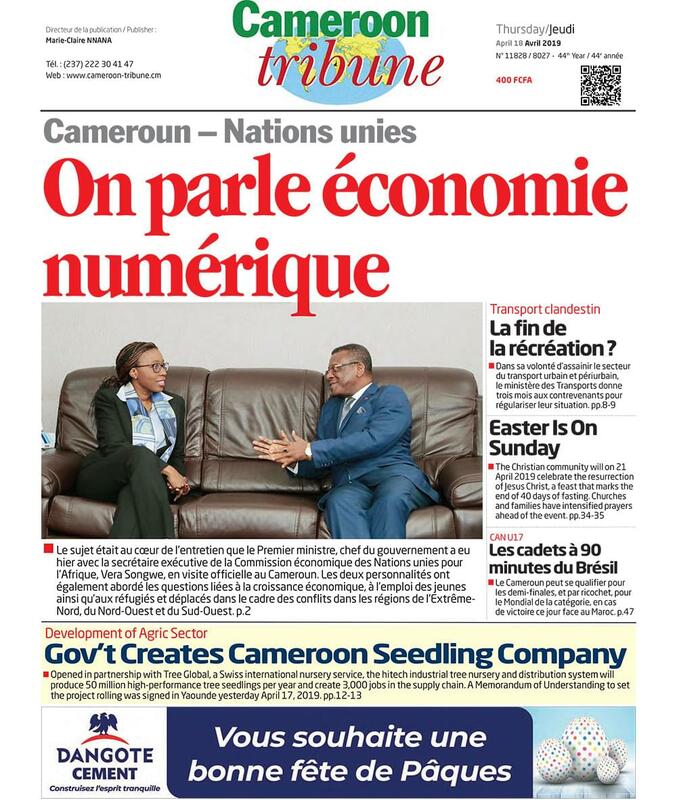 Taxi drivers, bike riders, hotel managers, business operators, and sundry in Buea were sensitized on welcoming attitudes that would give Cameroon the international credit it deserves. Above all, underground and surface security measures have been knotted to keep people alert, counteract Boko Haram threats and allow for a safe AFCON. As the inhabitants and visitors await tomorrow’s AFCON rumble-off, beer parlours have multiplied stock, the various homes have repaired their TV sets, fans have sewn special attires, gadgets of Cameroon colours are being sold at road corners, taxis are cleaner, drivers better dressed and morals boosted to begin the football feast. At a glance, the entrance to Buea namely Mile 17 Bus Station has been made to announce the games through advert posters and city ornaments. A fence is being erected around the bus station that used to be bare and structures are sprouting to render the place more businesslike. The traditional rulers of Buea are flexing muscles to be part of the feast as they have often come out in their numbers to welcome the Prime Minister, Head of Government during his visits to inspect AFCON projects in Buea and neighbouring Limbe. As things appear, the Buea football fans are promising to sound their cheering trumpets from the top of Mount Cameroon to accompany the Lionesses to victory.